There is no disputing the iconic status that the hamburger holds in American culture. If you want one symbol that rises above the diverse and ever-evolving culinary landscape in this country, it would undoubtedly be the burger. While the classic burger has been adapted and redefined using a range of unconventional ingredients, toppings, spices, meats and breads, the fundamental idea of a piece of meat and condiments in a bun has largely remained unchanged over the years....until, of course, the veggie burger came along. To anyone who enjoys a "real" burger, the veggie burger has often been dismissed as laughable imitation of the classic hamburger, with a foundational ingredient missing. While this may have been true in the past, things have started to change for the meatless version of this American classic. In fact, in recent years, the veggie burger has managed to transcend its early incarnations that we're designed to replicate (mostly with limited success) the taste and texture of its famous cousin, the hamburger. Creative chefs discovered that the lack of meat was not a limitation, but instead an opportunity to embrace healthy ingredients like vegetables, quinoa, lentils, beans, brown rice, and other grains to create veggie patties. Today, the veggie burger may not have yet achieved iconic status as an American sandwich, but it has definitely found a place in our meat-dominated food culture. 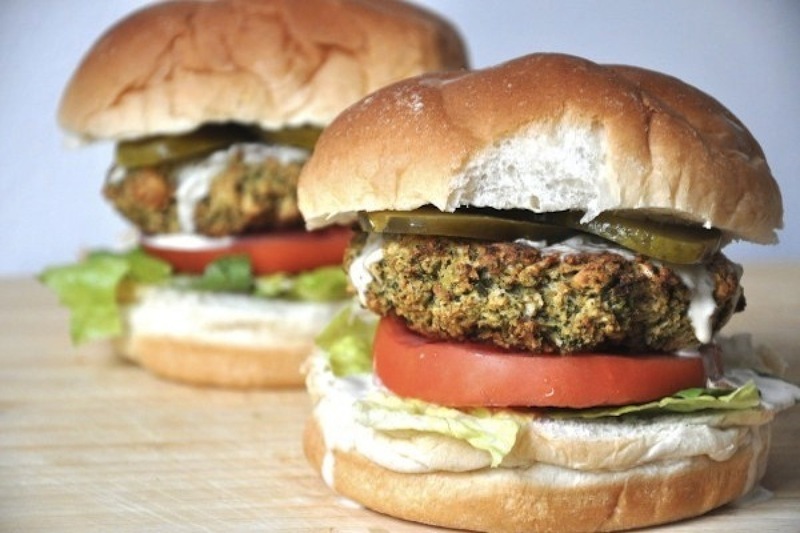 So, if you're looking to skip on meat this summer, avoid the frozen veggie burger patties found in grocery stores around the country and try one of these amazing recipes instead. Not only are they versatile, adaptable and delicious, but unlike the hamburger, they also come with countless benefits.